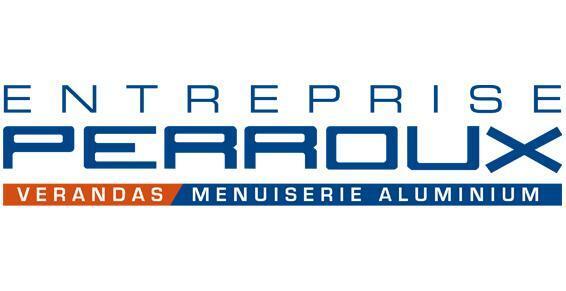 ENTREPRISE PERROUX is installed since a little more than 25 years ago, near Chalon-sur-Saône. Five teams dedicated to the fitting are at your service to satisfy your needs. In addition to your made-to-measure aluminium verandas design, we place several aluminium joinery styles: windows, doors or bodyguards. The aluminium has many advantages: environmentally friendly, it is recyclable to 99% and easy to clean. It is also lasting and resistant for a couple of decades. We work in the Saône-et-Loire and Côte-d’Or departments, from Chalon-sur-Saône to Le Creusot and Beaune. Our quotes are free. All our joinery is guaranteed for 10 years. We design and manufacture them on measures, according to your needs and tastes. We also take charge of the fitting. Our aluminium windows are available in a number of colours (powder coated). Their very thin framework allows the light to shine through in your rooms, as well as adding a very large area of glazing. All our windows are equipped with thermal break, enabling to avoid the condensation and dampness. We can also strengthen the soundproofing. Our aluminium windows and French windows can be totally or partially glazed (equipped with a solid section). They can be equipped with casements that open towards the inside or the outside. They can also be sliding windows: you save space. In brick partition, they slide inside the wall: it is the most aesthetic solution. Our aluminium sliding bay windows are built with 1 to 8 casements, mounted on rails. They are reinforced with polyamide bars that work as thermal break. Double or triple glazed, thus much insulated, as much thermal as phonic. Modern designed, our aluminium interior doors and front doors are light and thin. Easily adjustable, the aluminium can be manufactured of any sizes. This handiness allows us to couple it with other materials like wood, glass or PVC (blinds or roller shutters for example). You can add a mirror or a light panel. They can be hinged (equipped with casements), sliding, in brick partition, folding or pivoting (equipped with a pivot that can be opened to 360°). It is the same for our garage doors: sectional or overhead doors, they open sideward or toward the ceiling. All our doors are motorised (by remote control) or automated. They protect you when you are high up. They can be installed on the terrace, balcony, windows, stairs or mezzanine. They are made of vertical bars (bar fence) or horizontal bars (smooth bars). We can add acrylic resin, laminated glass, wood, composite panels or perforated sheets to fill them.